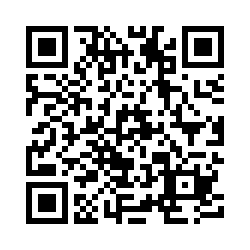 If you're interested but not sure you want to participate in the B-SAFE study, scan the code below with your phone or click the box above on the right side of the web page to sign up for more information. For this new phase of B-SAFE, researchers are enrolling women who were pregnant and living in Northern California when the Camp Fire struck on November 8, 2018. Participants will fill out a survey providing information that may help researchers better understand what pregnant women were exposed to and how they were affected, including whether they evacuated or wore a mask, and what symptoms they had. The survey takes about 40 to 60 minutes to complete. The UC Davis B-SAFE research team will also ask mothers to collect samples of hair, toenails, and saliva for themselves and their babies. Moms-to-be living in Colusa, Butte, El Dorado, Glenn, Nevada, Sacramento, Sutter, Yolo, Yuba or Placer counties will get a home visit from the UC Davis B-SAFE research team, who will collect samples of hair, blood, saliva, toenails and urine from them, placenta and umbilical cord blood at delivery, as well as breast milk and baby saliva and toenails at a postnatal visit. Schmidt says the study team will try to enroll women earlier in pregnancy than was possible during last year’s wildfires, and complete up to two visits before delivery to learn how their health changes over time and across their pregnancy. Women who provide bio-specimens will be compensated. The Camp Fire was the deadliest and most destructive wildfire in California’s history, killing 88 and burning almost 150,000 acres and 19,000 structures. It came fast on the heels of last year’s devastating wildfires in Northern California, which also affected Butte County. The Camp Fire spread rapidly and its smoke blanketed most of Northern California for weeks, creating air quality so hazardous people were told to stay indoors for days on end. With climate change, these types of wildfires are expected to grow, burning bigger and hotter each year. Experts say recent wildfires in Northern California are particularly concerning because they took place in urban areas where thousands of structures made of synthetic materials burned. The chemical composition of the smoke and ash from these urban wildfires could be potentially more toxic than grassland or forest fires. The B-SAFE study is part of a larger effort by the National Institute of Environmental Health Sciences (NIEHS) to better understand and respond to wildfires and other environmental disasters. The Environmental Health Sciences Center is currently conducting several research projects on wildfires funded by the NIEHS. *Recruitment for the 2017 North Bay wildfire study has ended. There are two ways to participate – Arm A and Arm B. If you lived in Butte, Colusa, El Dorado, Glenn, Nevada, Placer, Sacramento, Sutter, Yolo or Yuba counties during the Camp Fire, still live in the area and aren't a Kaiser member, take this survey. There are two ways to participate – Arm A and Arm B. If you lived anywhere in Northern California at the start of the Camp Fire, take this survey even if you're no longer in the area. Kaiser members can also take this survey.